Reaching up to 8 feet in length, the alpenhorn is a unique instrument used by mountain dwellers of the Alps for communication and music. 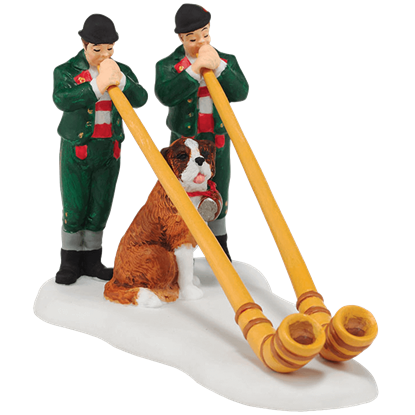 The Alpenhorn Serenade figure displays a duo of musicians adding its melodic sound to the air. Representing the birth of Jesus Christ, traditional creche scenes can be found throughout rural and urban Bavaria. 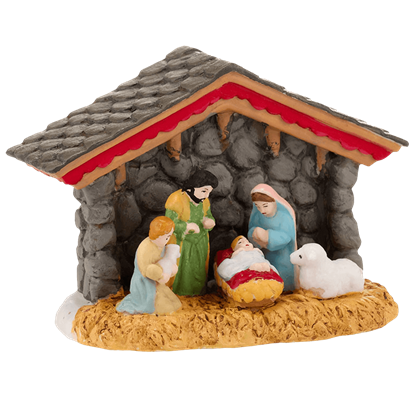 The Alpine Nativity Figure showcases many tiny details, making it a great piece for your seasonal village set. Wearing traditional Bavarian costumes, this lovely couple dances to the lively music of the local marketplace musicians. 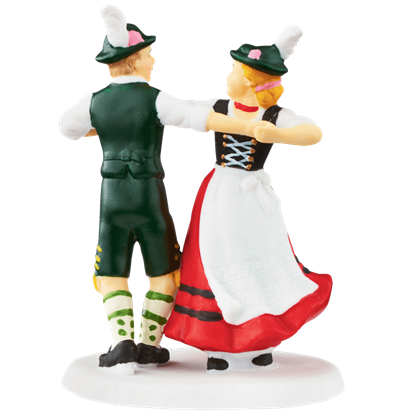 The Christmas Market Dance figure makes a fantastic addition to your seasonal holiday village display. Sweet melodies fill the air of the marketplace when these musicians begin to play. 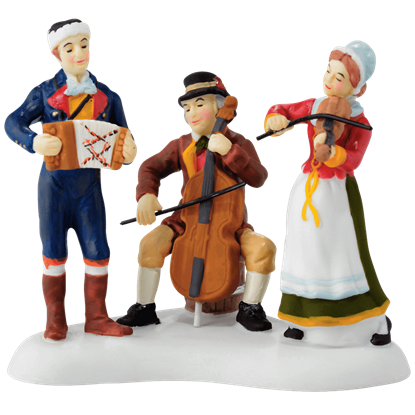 The Christmas Market Musicians play a concertina, cello, and violin, making a cheerful trio as they strike up a lively tune for their listeners. Although King Ludwig II never had a princess, little girls can imagine a fairytale story of his lady arriving on horseback with the prince. 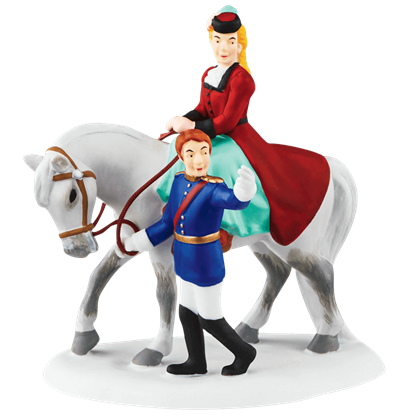 The Our Enchanted Kingdom figure makes a lovely addition to the Alpine Village collection. Famous painters such as Monet, Renoir, and Pissarro all used box easels in their work. 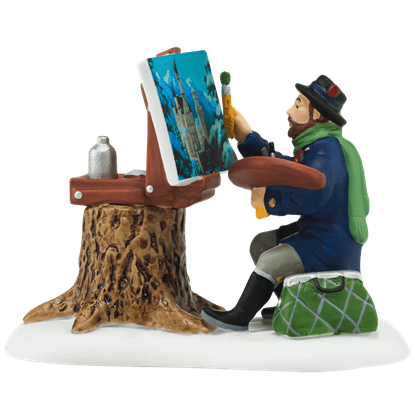 The Plein Air Painter figure sits with his box easel, using the natural light to paint the famous Bavarian Neuschwanstein Castle. 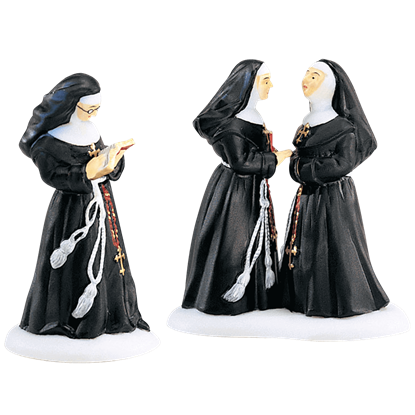 The Sisters of the Abbey Set, part of the Alpine Village collection by Department 56, displays a gathering of nuns clothed in traditional black and white. Made of porcelain, these collectible statues are hand painted in delicate detail.